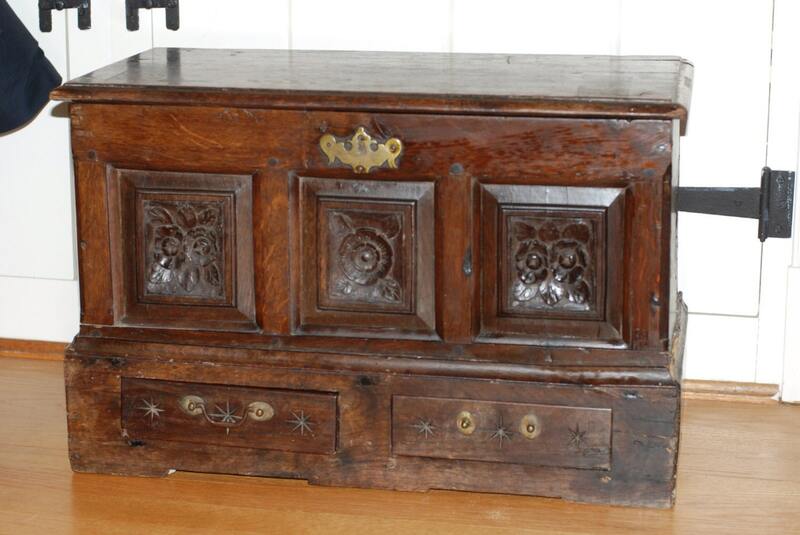 This coffer bach is circa 1690-1720. 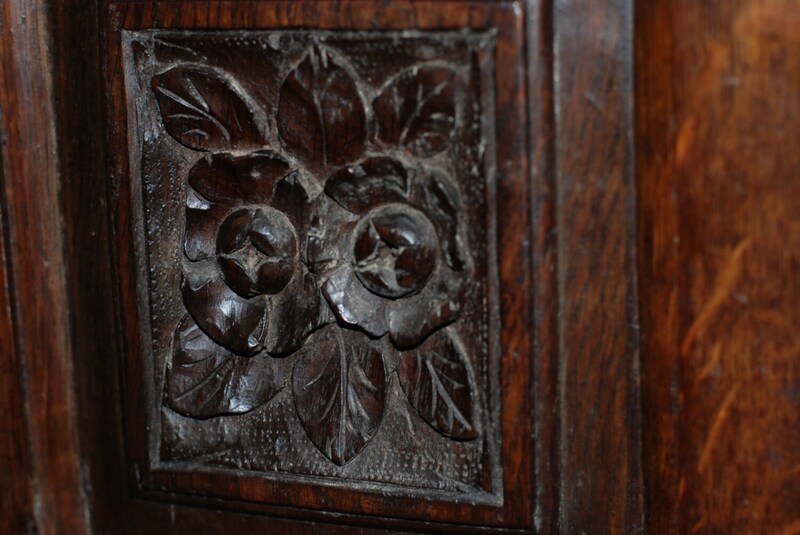 It features three inset panels carved in the form of wildflowers. Two drawers on the bottom with brass swan neck drop handles. 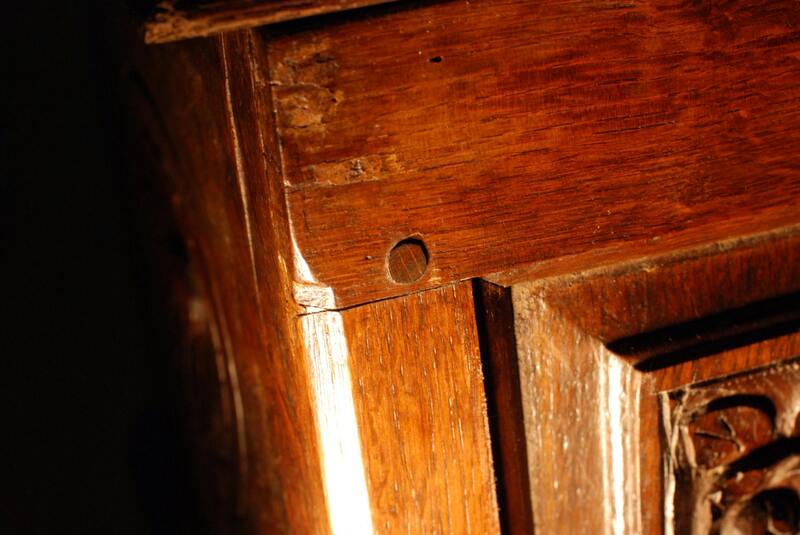 Drawer fronts decorated with incised stellae. 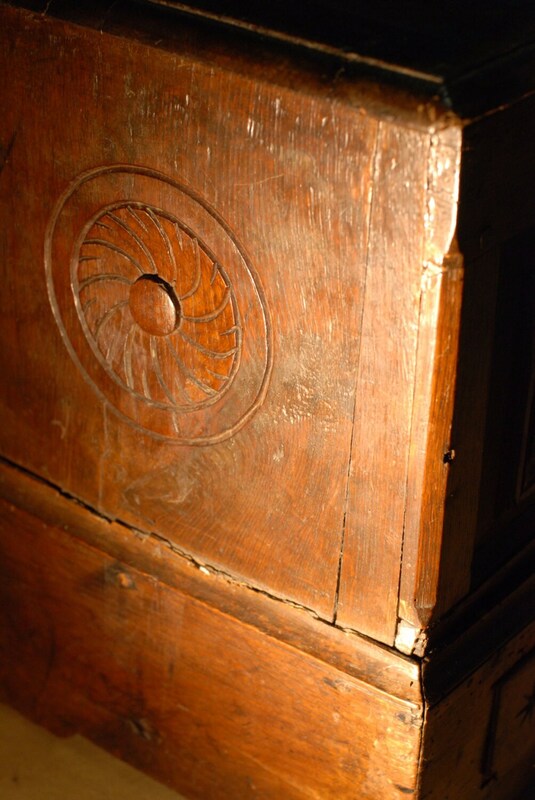 Either end has a panel with a carved pinwheel. Lock catch is absent as is the key. Lock is intact. Entire box sits on a plinth. 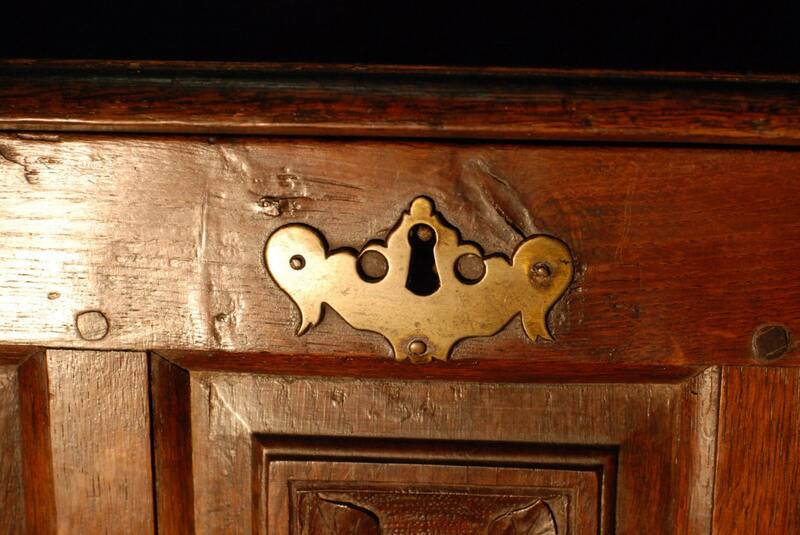 Escutcheon is an original batwing brass. These chests are cherished by the women of good Welsh descent having inherited them from their mothers. Condition is commensurate with age. Additional detailed photos available upon request. A rare example. A couple of hand hammered metal bridges to staunch cracks on the lid.